Teaching Leading Learning: What I learned from doing sit ups last month! Well June was notable for a few reasons: I did my first presentation for a group as a speaker under my own name; I attended a meeting of a group I have become an associate with and learned heaps (mostly that there is still heaps for me to learn); I discovered some great publicity opportunities for a children’s theatre production we are putting together on a very tight budget; and I did a whole heap of sit ups and can still hold a plank position for more than 2 minutes and it’s this last one that has prompted me to write this week. At the end of May something popped up on Facebook and I thought it seemed like a good idea at the time, it was sort of social (as I tried to rope in other FB friends) and I thought it would help stave off the preparing for hibernation instinct that I fall into as winter sets in. This idea/challenge was a sit up/belly toning exercise challenge for the whole of June, steadily increasing in number of reps and time as the days clocked by. To ensure I stuck with this regime I made it public on Facebook and set myself a pretty dire consequence for lack of completion and that was posting a photo of myself wearing a bikini! It is now July, the challenge is completed. My belly is no trimmer really but my back hurts a little more now. Yes I know that isolated exercise doesn’t work and I also know that having chocolate, chips and cheese and crackers is not a recommended daily diet necessity (the hibernating bear instinct is strong in this one, and I figured that as I was punishing myself I deserved a treat now and then!!!) So why did I continue with this challenge when clearly it wasn’t my thing? Well for one I felt that I’d let others down if I didn’t and secondly and more importantly the consequence of not completing was too grim! This does prove that making goals public and setting powerful consequences supports motivation, that is a good thing. However it also proves that I am super self-conscious about my body and that is not a good thing. Why should a consequence like that be so incredibly negative? I really ought to know better, I have studied the topic of body image, I have even taught young people about it. I am in my 40’s, my body has done well so far getting me here, it has helped grow and feed a little one, it has carried my over active mind around and tolerated the abuse of stress at times pretty well too. Seems bizarre to not appreciate it, with all the associated lumps and bumps. And you see, when I think about the threat of posing in my bikini for all the FB world to see, I think that the years of bombardment through the media of what a beautiful body looks like has got me thinking I don’t measure up. And I don’t. Mind you when you start to delve into it, neither do most of the people in the glossly magazines either! A few years ago I had a little bit to do with EDEN (Eating Disorders Education Network) and did a course with them around body image and critical media literacy which was a real eye opener to be honest. Even the models and actresses/actors that are hailed for their good looks are enhanced routinely in the photo-editing suite, and that is after the fitness/diet gurus, the hair and make up gurus and photographic geniuses have had their turn. Seemingly innocent images when put under the microscope make you take a step back and start to wonder… I now can’t look at an image without asking, has this been enhanced? And so when I opened up a flyer that arrived for a pharmacy I think and saw this image I was amused… just doesn’t look right when you look at the shoulders, the shape of the back, the position of the arms including length… well not right if ‘perfection’ is what is being aimed for! And check out this one. It is one I have used quite a lot and appeared in Jezebel.com originally I think. It is great to have the original beside the enhanced cover photo. When you just look at the cover photo, it looks fine, she is beautiful as she should be, all is well in the world. 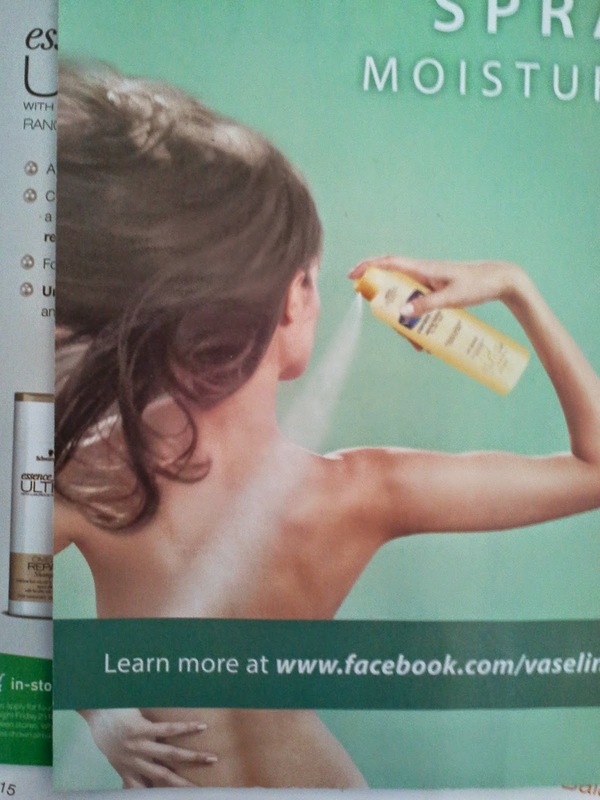 But then if you look a little closer do you not think her front arm looks a little long? And what about her neck and waist? Compare the original with the enhanced image and it starts to look a little alien! 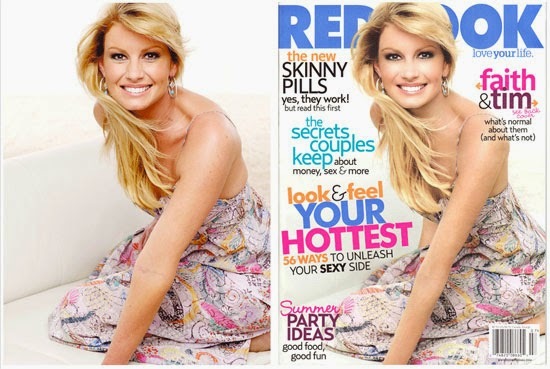 Now some people suggest that as we know many images are enhanced we should accept it as the way the world works, inlcuding one industry editor who claimed that 'photoshopping is an industry standard' and that they photoshopped one celebrity so she was shown at her 'personal best'! (For more click here for an interesting article). It would seem that the advice is that we just move on because this is normal but I don’t think that resolves the issues. I knew that many photos were enhanced but until I sat down and was made really aware I just didn’t realise how subtle it was and how skewed my perception of ‘normal’ or ‘beautiful’ was when glancing at these images. So what could this be doing to young minds who are wrangling through the first awkward steps of defining who they are? there are some great folk out there challenging this photoshopped 'ideal' image mania, please see a couple below as examples that you could look at yourself and share with your friends. be aware, notice how you feel and what you say to yourself when viewing other people's bodies in magazines, on the screen or in real life... if it is one of judgement about them or about yourself you might like to challenge some of that commentary to create a healthier respect for the diversity of the human body? In closing, I did consider putting a photo of me in my bikini in here as a challenge to the industry of falsified perfection but it is winter, it's jolly cold, and bikini's in winter are just plain silly, unless of course you are travelling somewhere warm! So in the spirit of sensibility I have opted instead to share the following videos. And there is a plethora of other material!